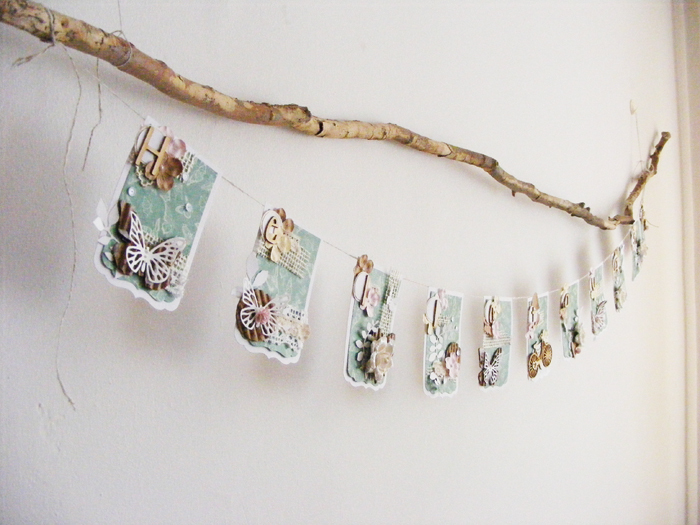 Today Andrea is sharing a shabby chic home decor banner project. 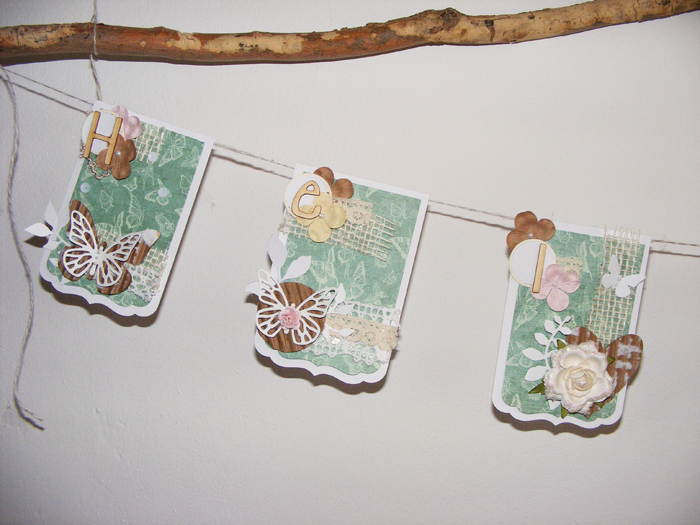 Die cut the banner shapes from white cardstock and patterned paper. 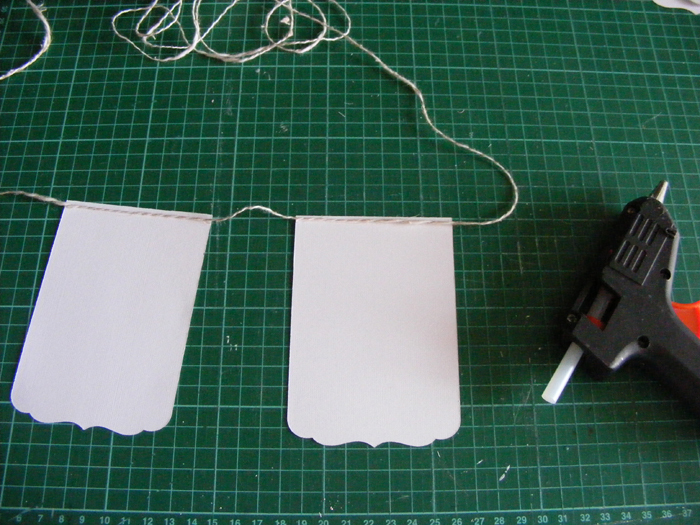 Cut a long piece of twine and start gluing it on to the banner pieces. 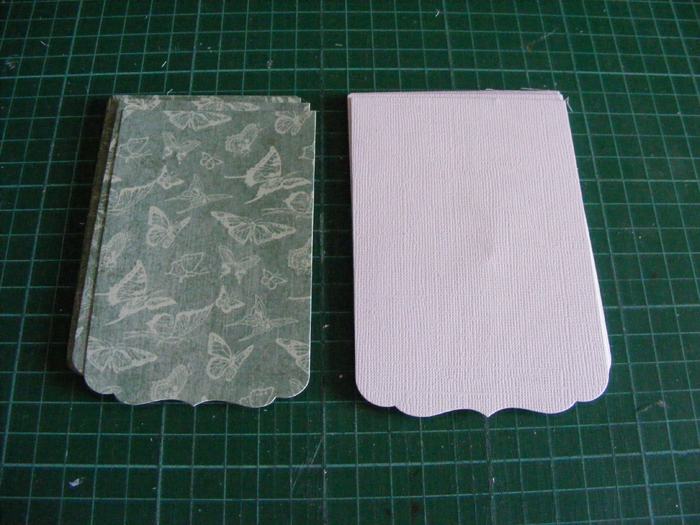 Try to space them out evenly. 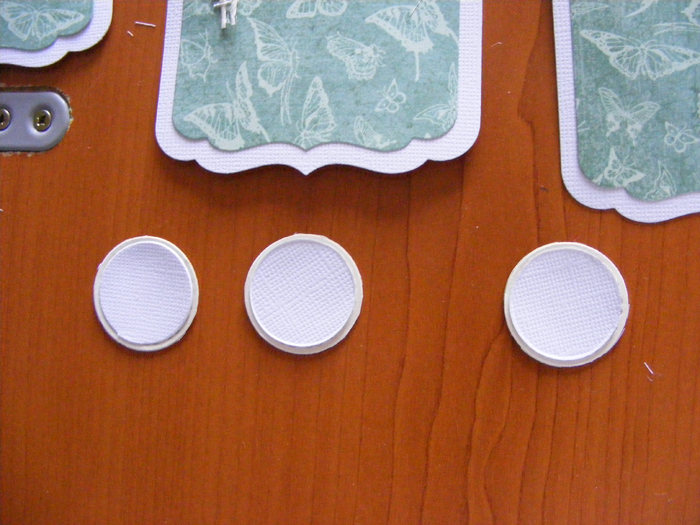 Die cut small circles, these will be the background of the chipboard letters. 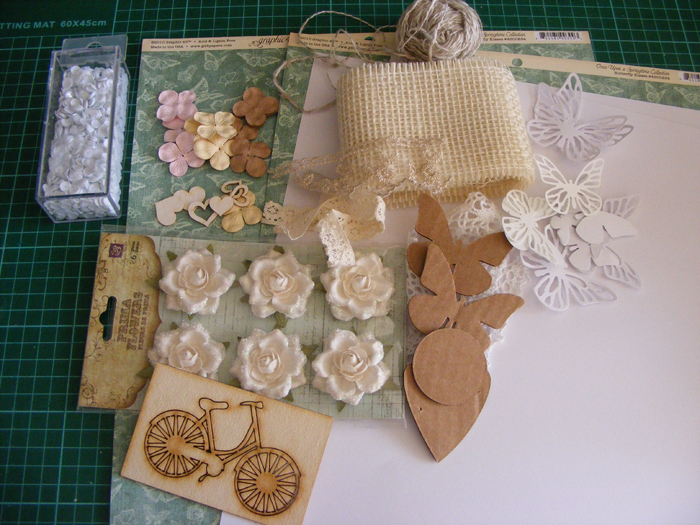 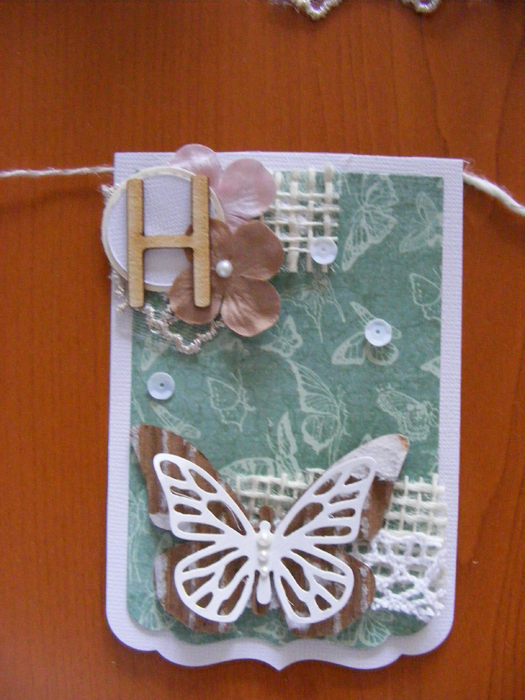 Stert layering flowers, the die cut circles, pieces of lace and the chipboard letters. 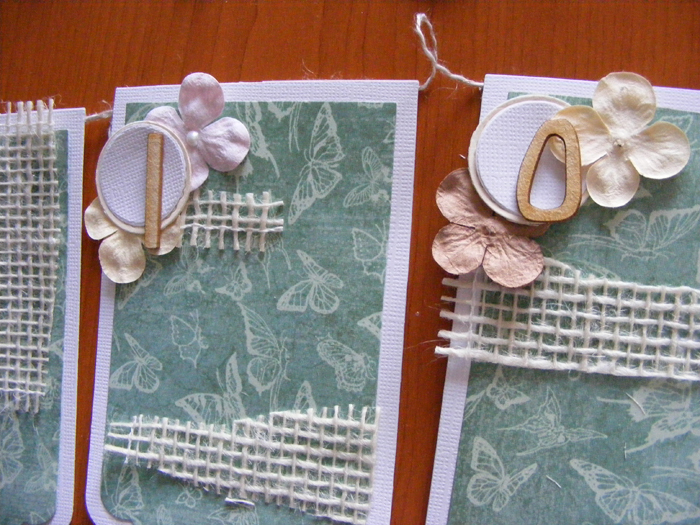 To embellish further add pears and sequins in coordinating colours. 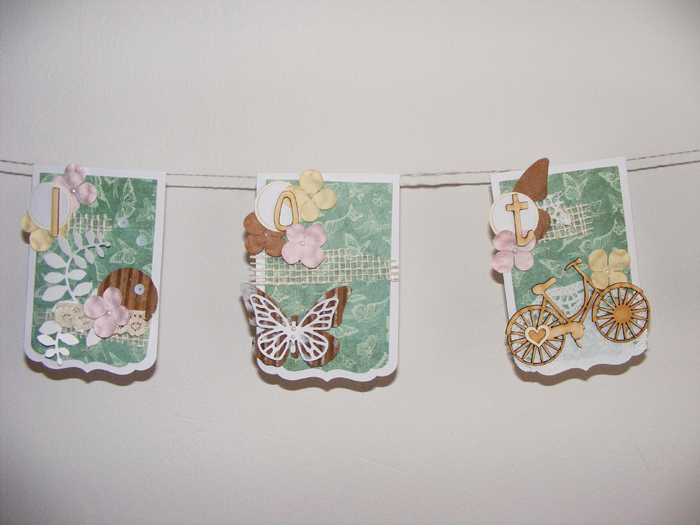 You can also add some diecut butterflies or branches. 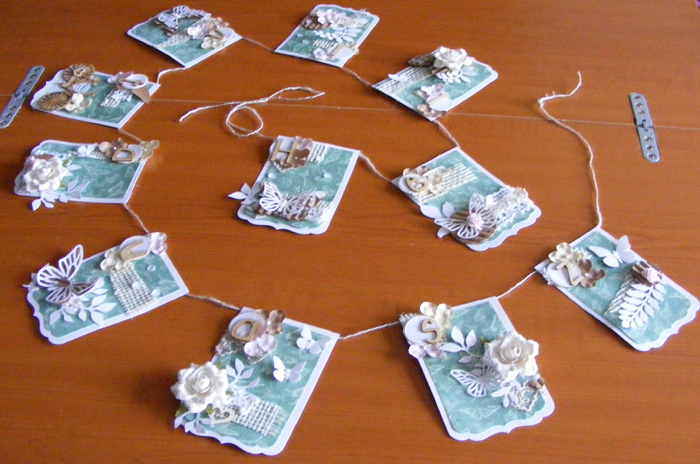 When everything is dry, you are ready to hang up the finished piece. 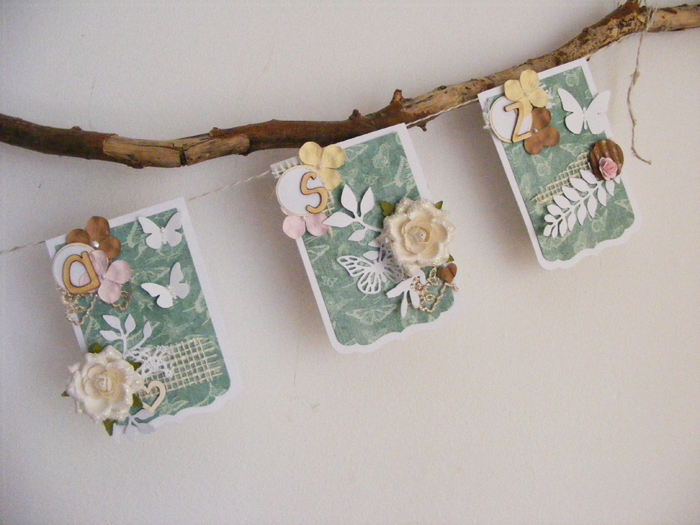 I hope you liked this very pretty spring idea. 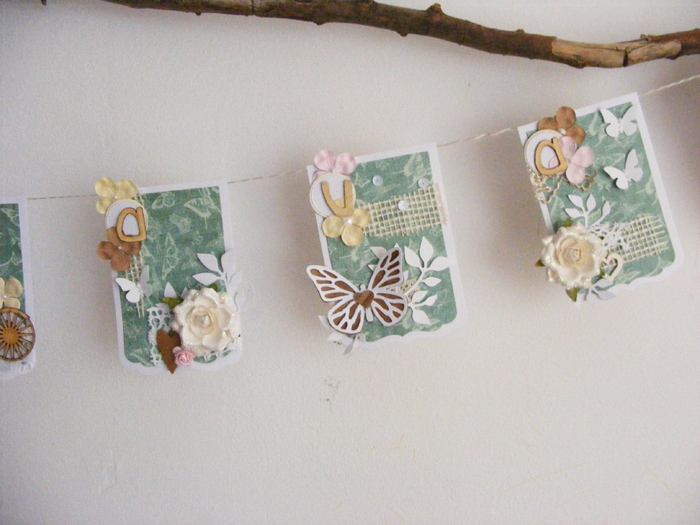 It could be easily altered to an Easter banner with die cut eggs and bunnies.